An overnight accident in Chelsea sent a pedestrian to Massachusetts General Hospital with life-threatening injuries. Officials with the Massachusetts State Police are currently investigating the accident. The accident happened along Revere Beach parkway just after midnight when the pedestrian was struck by a passing bus, according to NECN. The Bolt Bus was being driven by a Brockton man. Currently, no charges have been filed. Our Boston personal injury attorneys understand that buses are a key form of transportation throughout the state. Many residents and visitors rely on this form of transportation to get to and from work and school. While we oftentimes focus on the safety of the passengers, it’s also important to focus on the pedestrians are the vehicles. These large buses pack a heavy punch when they’re involved in traffic accidents and oftentimes produce deadly results. 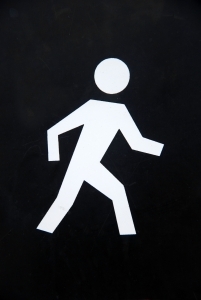 Pedestrians need to be cautious whenever traveling near motor vehicle traffic. In 2009, there were nearly 4,100 pedestrians killed on U.S. roadways. In addition to these fatalities, there were another 60,000 people injured in these accidents. Oftentimes, pedestrians are overlooked by vehicle traffic, according to the National Highway Traffic Safety Administration (NHTSA). It’s important for pedestrians to make their movements near traffic predictable to make them better seen my motorists. These kinds of accidents are preventable. They just take some awareness from everyone. According to the Cambridge Police Department, there are a few simple safety tips that pedestrians can use when walking around buses and bus stops to help them to avoid becoming the victim of a fatal bus-pedestrian accident. -Pedestrians are required to follow all traffic control signals and directions of officers who may be out directing traffic. -Pedestrians are required to use crosswalks to cross the street if they’re within 300 feet of one. -Pedestrians are required to yield to the right of way to authorized emergency, funeral processions, regardless of what the traffic controls may be conveyed. -When traveling at night, wear bright clothing and wear reflectors or carry a flashlight to be able to be more visible to motorists. While we ask pedestrians to do their part to stay safe on our roadways, we also ask motorists and bus drivers to keep an eye out for on-foot traffic. The Cambridge Police Department also offers some safety tips for drivers to help to keep our roads safe. -Motorists are to yield to pedestrians in crosswalks. -Motorists are to never block a crosswalk. -Always expect pedestrians. Be extra cautious in residential neighborhoods and be cautious when traveling near downtown areas and shopping/business districts. -Motorists may not open a car door into the travel lane of a bicyclist of a pedestrian. -Motorists must yield to pedestrians and bicyclists when making a turn. If you or someone in your life has been injured or killed in a pedestrian or a bicycling accident in Boston or in any of the nearby areas, contact Boston Car Accident Lawyer Jeffrey S. Glassman to schedule a free and confidential appointment to discuss your rights. Call 1-877-617-5333.